The German Teutonic Knights built numerous castles in Norther Poland in the 13th and 14th centuries. 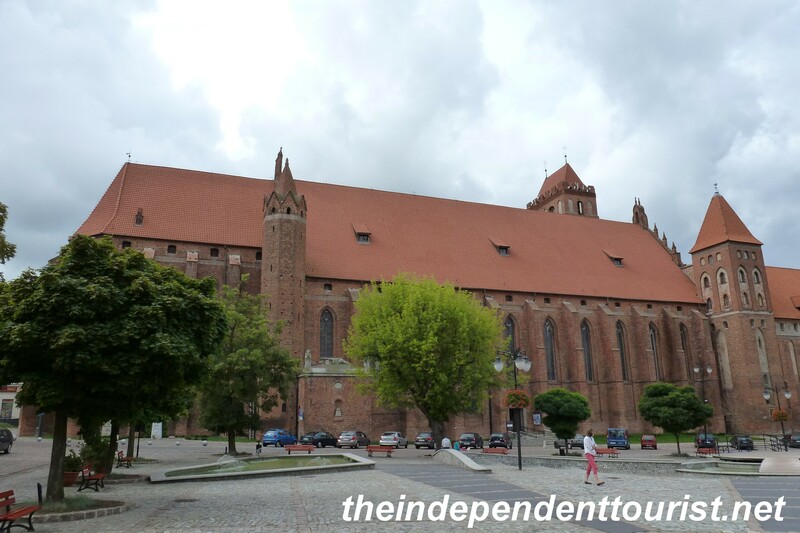 Here are two others in addition to Malbork worth visiting. 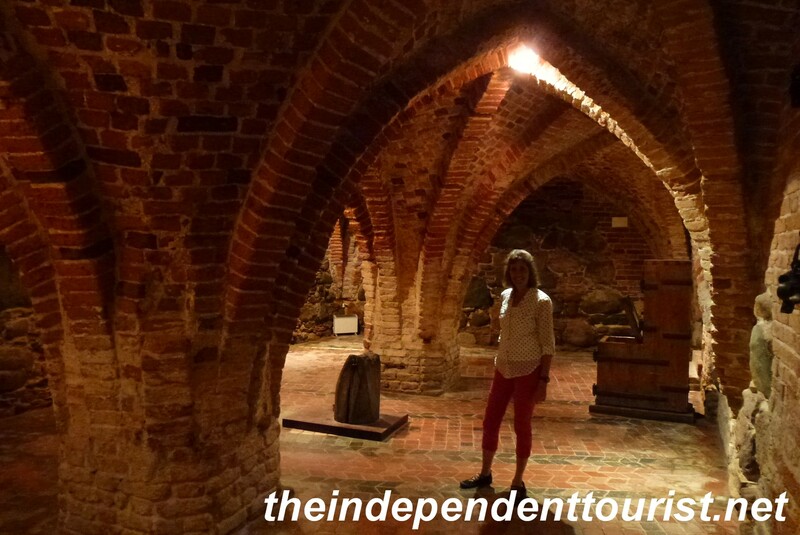 (For a map of sites we visited in Poland, click here). Kwidzyn Castle doesn’t receive near the number of visitors that Malbork Castle does, and yet it’s one of the more interesting castles I’ve visited from an architectural standpoint. It has two towers extending from the main structure by long arcaded bridges, one of which is a latrine tower and the other is over a well. Kwidzyn Castle with the Latrine Tower in the foreground. A long way down from your toilet seat! 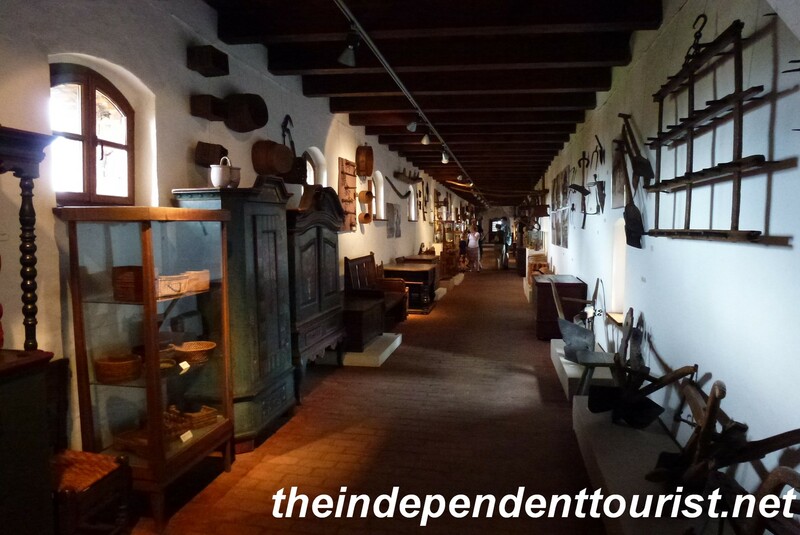 The elevated hall leading to the Latrine Tower, with many displays of old farm tools and home furnishings. Kwidzyn Castle with the Well Tower extending from the main structure. If you like medieval churches too, Kwidzyn is a great stop because it has a cathedral and castle connected right together! The Kwidzyn Cathedral, conveniently connected directly to the castle. 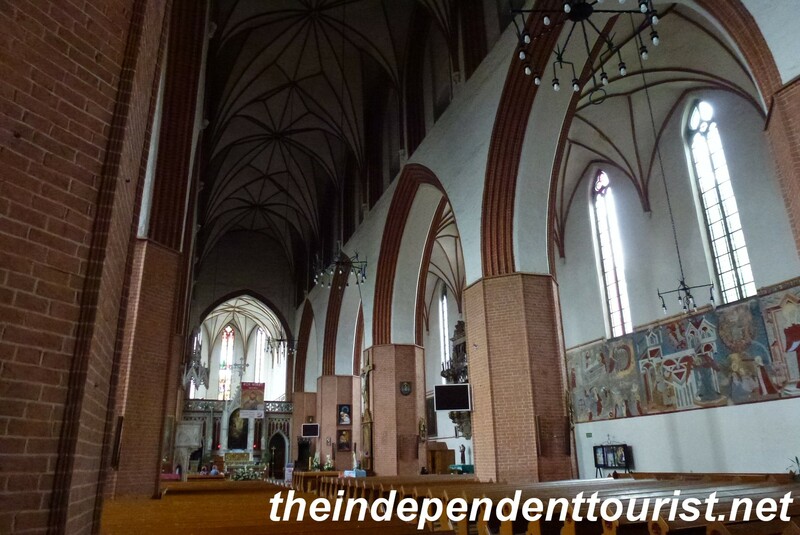 Interior of the 14th century Kwidzyn Cathedral. There are many well preserved frescoes (note opposite wall). 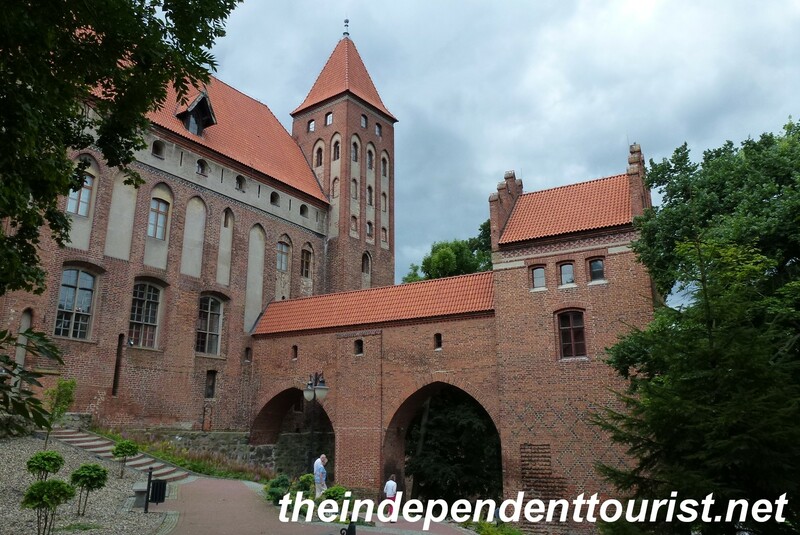 The castle and the adjoining cathedral were built in the early 14th century and somehow they survived World War II without a scratch; however the castle did suffer under the Prussians in the 18th century, who pulled down a couple of sections. But thankfully most of it remains intact. The main castle is a museum, containing a variety of natural history displays, medieval art and farming implements in the hallways and towers and some torture devices in the dungeon. The dungeon of Kwidzyn Catstle. 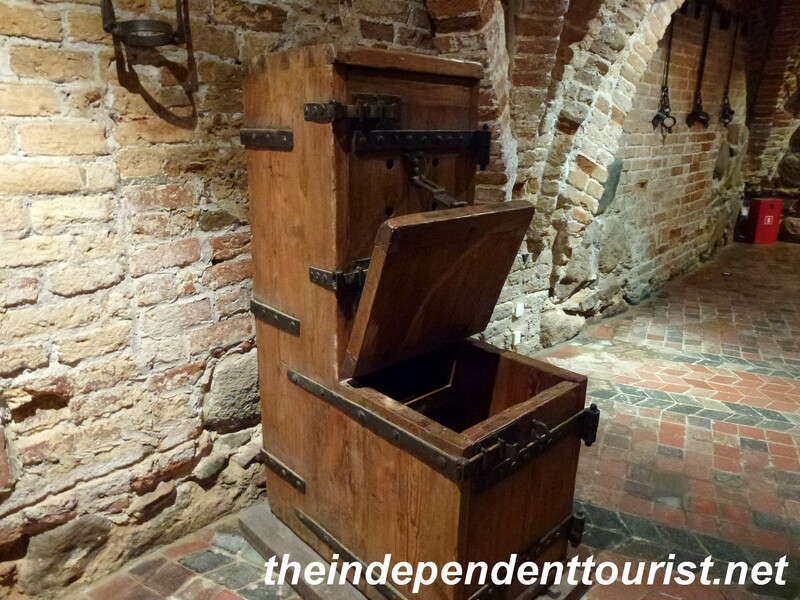 One torture device in the dungeon of Kwidzyn Castle. You would have to sit in one position and couldn’t move. Also note shackles on wall to the right. We also made a quick stop at one other castle near Kwidzyn that is now a business convention center. 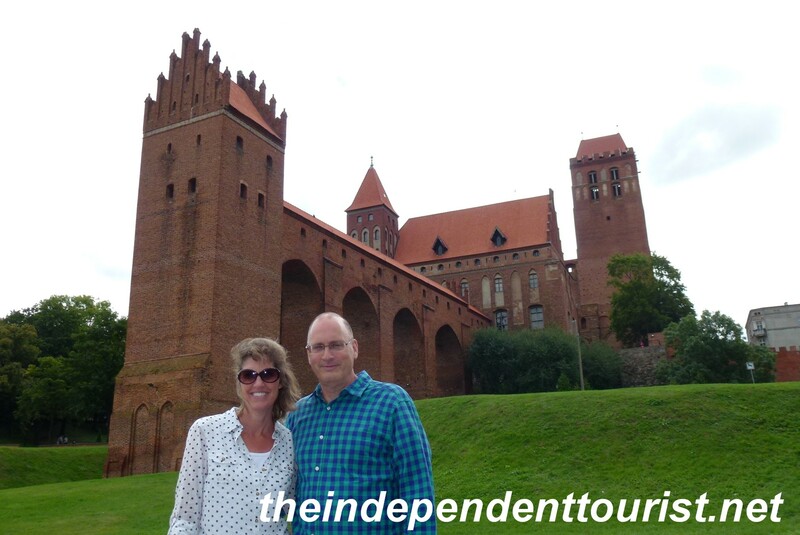 Gniew Castle was started in the late 13th century. It was a famous location, known for hosting lavish banquets and many guests. In the early 1600’s Gniew Castle was the site of a year-long siege by the Swedish who carried off many of the castle’s treasures. 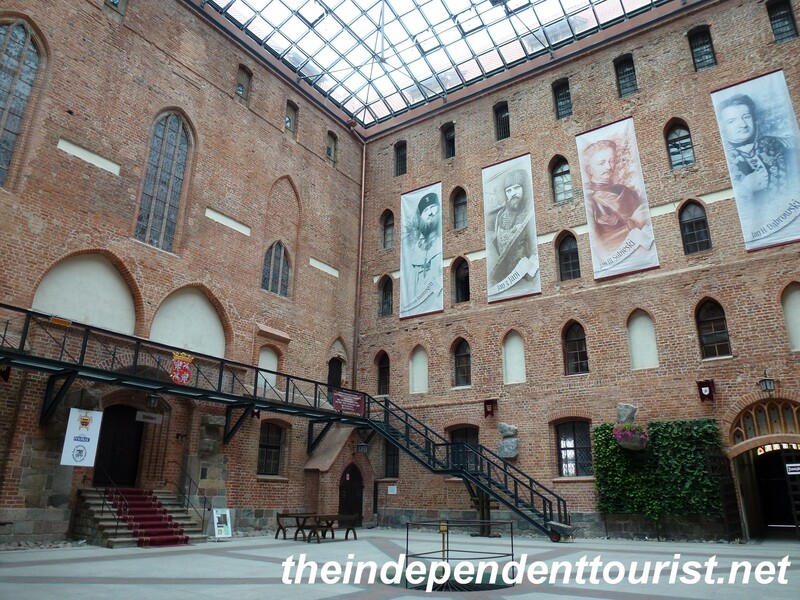 Interior courtyard of Gniew Castle, it could accomodate 500 guests for banquets. 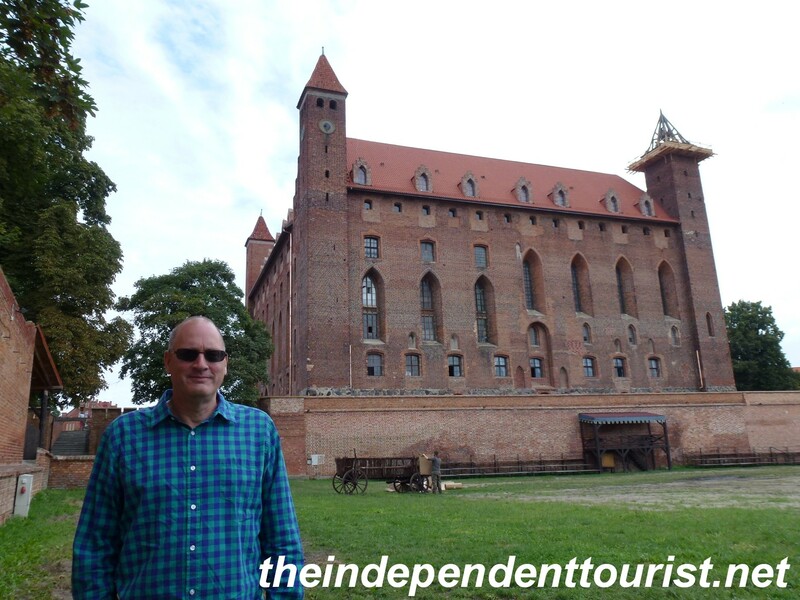 Posted in Poland and tagged Gniew Castle, Kwidzyn Castle, Teutonic Castles in Poland, Things to see in Poland on May 11, 2014 by Paul Terry.